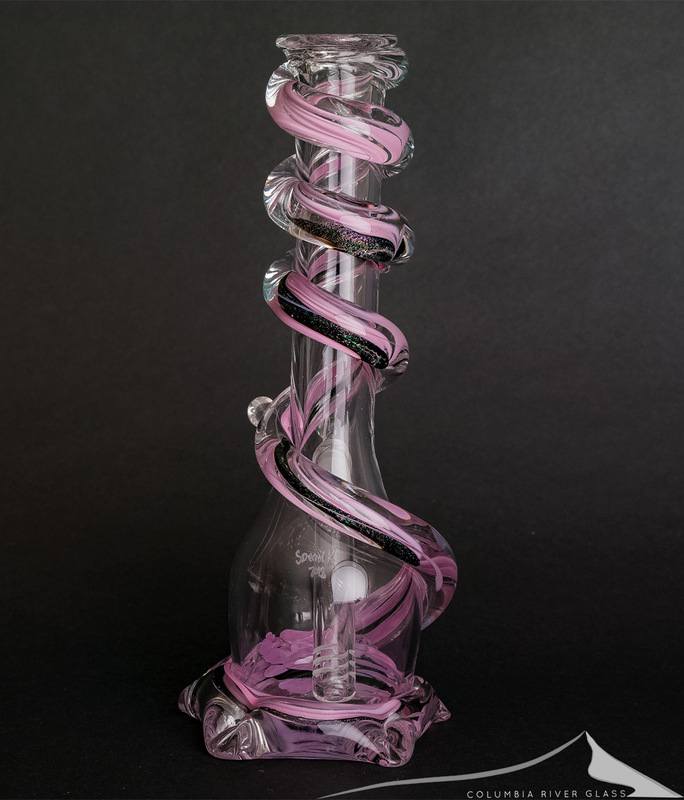 Beautiful new piece from Special K – a clear pull with a purple dichro wrap. The wrap has a green/blue dichro that looks great with the purple. 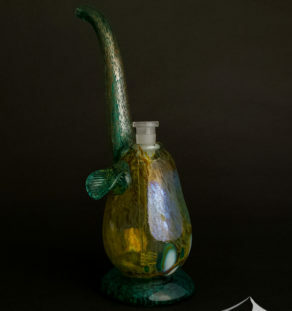 The deep purple wrap really sets this one off, and Special K soft glass colors are always outstanding in sunlight. At 10 inches in height this is a smaller size that’s easy to handle, with great function out of the slotted stem. Fantastic soft glass work from Special K and crew!